When was the last time you saw a love story on the big screen and said, ‘hey, that’s us!’? 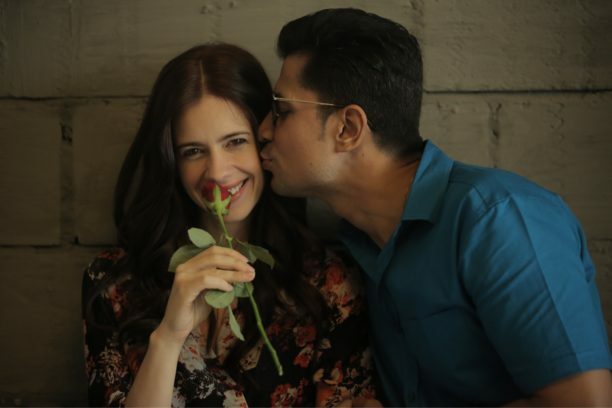 The Kalki Koechlin and Sumeet Vyas starrer Ribbon’s trailer has dropped and it promises to do just that. In writer-director Rakhee Sandilya’s debut fiction feature, love is all about sticking together through life’s knotty turns and loose ends. The spunky trailer has been making waves on social media, with many fans looking forward to the young love story that looks funny, poignant and painfully relatable. The film introduces the super fresh pairing of award-winning actress Kalki Koechlin and internet sensation Sumeet Vyas, (of TVF’s Permanent Roomates fame) in his first lead Bollywood role. The romantic dramedy is set in Mumbai and follows the madly-in-love couple as they deal with an unplanned pregnancy, fight to stick it out and live the future they’ve dreamt of together. Rakhee says, “Most romantic comedies focus on how boy meets the girl and gets her, my film focuses on how real life actually begins after that!” The film explores a whole new dynamic in modern love and relationships, with equal parts wry humour and raw emotion. ICYMI Check out the trailer! The film is marketed and syndicated by Shiladitya Bora’s Platoon One Films. RIBBON produced by Prakash Mondal and Swathi Mondal of Red Cart Films is slated to release across India on November 03, 2017. 15 queries in 0.382 seconds.